My Friend Pikachu is currently in short supply, however we constantly track for stock to ensure you will be the first to know when availability is found. We constantly check for My Friend Pikachu stock, so you don't have to. 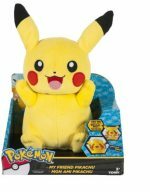 Receive email alerts when My Friend Pikachu online stock is found.